In order to increase your safety during accidents and heavy impacts, most automakers incorporate two different types of auto glass into their vehicles: laminated and tempered. The former is common in windshields because of the way that it breaks, but until recently, tempered glass was the most popular choice for side and rear windows. So, what's the difference between the two, and how does that affect your auto glass replacement needs? Laminated glass actually consists of two separate glass panes, with a transparent layer of sturdy but flexible vinyl sandwiched between them. During the manufacturing process, these three pieces are fused into one solid unit by intense heat and pressure. Tempered glass, on the other hand, consists of a single glass pane that's subjected to rapid and extreme temperature changes throughout the manufacturing process. While the surface cools and contracts, the rest of the glass expands, and this back-and-forth strengthens the entire piece over time. It also fills the center of the glass with potential energy, which releases on impact. Because of the vinyl layer within laminated glass windows, flying debris cannot usually penetrate the whole pane. As a result, small cracks and chips are external imperfections that only affect the outer layer. However, when damage is more extensive, this vinyl acts as an adhesive unit that holds broken pieces in place. Side and rear windows don't sustain direct impact as often as windshields, but when they do, how they break determines the safety of you and your passengers. Manufacturers choose tempered glass in order to prevent sharp, tiny shards from injuring you, because tempered glass windows will shatter into many small, dull pieces when they sustain heavy force. Many luxury cars now have laminated glass in the side and rear windows, but safety isn't the only reason. Laminated glass is actually significantly better at blocking or softening external noises, because it's thicker and contains multiple barriers that sounds must penetrate. As a result, cars with exclusively laminated auto glass are much quieter than those with tempered windows. 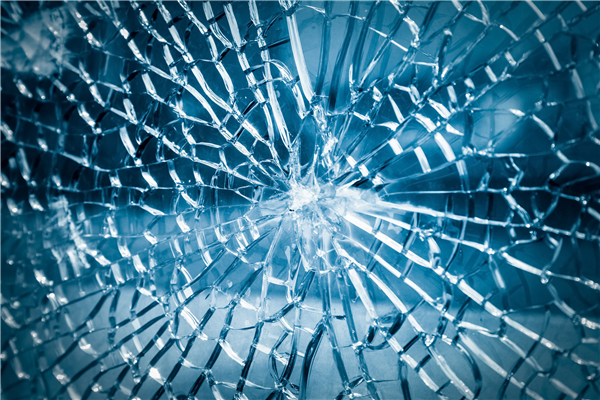 If your tempered windows shatter into pieces, Only 1 Auto Glass offers auto glass repair and replacement services where we replace them with new panes that meet your manufacturer's exact specifications. If your laminated windshield or window is broken on either side, we'll remove the entire pane, which is usually still a single piece of vinyl with various shards clinging to it. Then we'll install a new pane of laminated auto glass, ready to protect you from future force.